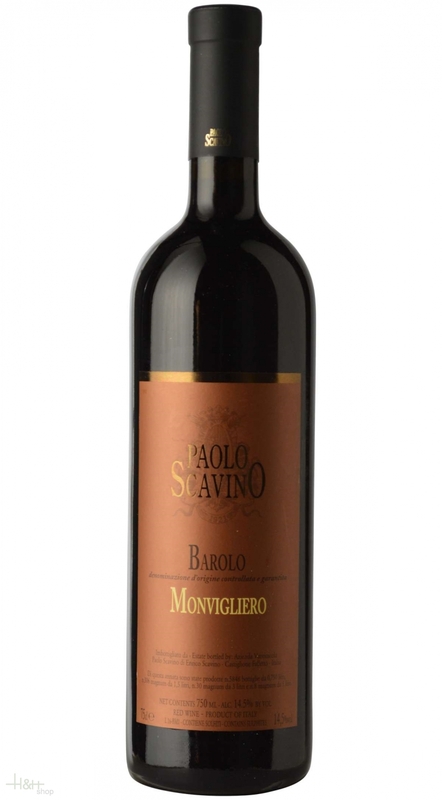 "Jeannie Cho Lee" has rated the wine "Paolo Scavino Monvigliero, Barolo DOCG, Italy" from the vintage 2008 on 13.12.2012 with 94 of 100 points.
" The best among the 3 Scavino Barolos tasted side by side. A complex wine that is both delicate and powerful. Beautiful aromatics of roses, violets and green tea. Palate is generous with ripe, firm tannins that offer backbone and structure. Wait at least 4+ years before approaching this wine. Tasted in: Hong Kong, China. Maturity: Young. " "Wine Enthusiast" has rated the wine "Paolo Scavino Monvigliero, Barolo DOCG, Italy" from the vintage 2013 on 09.01.2017 with 95 of 100 points. "Luca Gardini" has rated the wine "Paolo Scavino Monvigliero, Barolo DOCG, Italy" from the vintage 2012 on 01.11.2016 with 91 of 100 points. "Wine Spectator" has rated the wine "Paolo Scavino Monvigliero, Barolo DOCG, Italy" from the vintage 2012 on 31.08.2016 with 89 of 100 points. "Wine Spectator" has rated the wine "Paolo Scavino Monvigliero, Barolo DOCG, Italy" from the vintage 2011 on 31.03.2016 with 92 of 100 points. "Wine Enthusiast" has rated the wine "Paolo Scavino Monvigliero, Barolo DOCG, Italy" from the vintage 2012 on 10.01.2016 with 92 of 100 points. "Wine Enthusiast" has rated the wine "Paolo Scavino Monvigliero, Barolo DOCG, Italy" from the vintage 2011 on 02.01.2016 with 93 of 100 points. "Vinum Wine Magazine" has rated the wine "Paolo Scavino Monvigliero, Barolo DOCG, Italy" from the vintage 2011 on 01.11.2015 with 16 of 20 points. "Wine Spectator" has rated the wine "Paolo Scavino Monvigliero, Barolo DOCG, Italy" from the vintage 2010 on 28.02.2015 with 92 of 100 points. "Huon Hooke" has rated the wine "Paolo Scavino Monvigliero, Barolo DOCG, Italy" from the vintage 2010 on 12.05.2014 with 96 of 100 points. "Luca Gardini" has rated the wine "Paolo Scavino Monvigliero, Barolo DOCG, Italy" from the vintage 2010 on 01.05.2014 with 92 of 100 points. "Wine Spectator" has rated the wine "Paolo Scavino Monvigliero, Barolo DOCG, Italy" from the vintage 2009 on 28.02.2014 with 92 of 100 points. "Wine Enthusiast" has rated the wine "Paolo Scavino Monvigliero, Barolo DOCG, Italy" from the vintage 2010 on 10.01.2014 with 97 of 100 points. "Luca Gardini" has rated the wine "Paolo Scavino Monvigliero, Barolo DOCG, Italy" from the vintage 2009 on 01.09.2013 with 92 of 100 points. "Wine Spectator" has rated the wine "Paolo Scavino Monvigliero, Barolo DOCG, Italy" from the vintage 2008 on 28.02.2013 with 92 of 100 points. "Wine Enthusiast" has rated the wine "Paolo Scavino Monvigliero, Barolo DOCG, Italy" from the vintage 2009 on 09.01.2013 with 94 of 100 points. "Falstaff Magazin" has rated the wine "Paolo Scavino Monvigliero, Barolo DOCG, Italy" from the vintage 2008 on 22.11.2012 with 90 of 100 points. "Huon Hooke" has rated the wine "Paolo Scavino Monvigliero, Barolo DOCG, Italy" from the vintage 2008 on 17.05.2012 with 93 of 100 points. Marzemino Orme - 2017 - winery Donati Marco 12,00 EUR / 16,00 €/lt. Sassicaia Bolgheri D.O.C. - 2013 - Tenuta San Guido 198,80 EUR / 265,07 €/lt. Sagrantino di Montefalco BIO DOCG - 2013 - 1,5 lt. - Di Filippo 67,85 EUR / 45,23 €/lt. Barbera D'Alba DOC - 2016 - Alfredo Prunotto 17,25 EUR / 23,00 €/lt. Insoglio del Cinghiale - 2017 - Tenuta di Biserno 38,35 EUR / 51,13 €/lt. Siepi IGT - 2013 - Castello di Fonterutoli 94,45 EUR / 125,93 €/lt. Villa Antinori Toscano Magnum - 2012 - cantina Antinori 45,25 EUR / 30,17 €/lt.